Listings of high school yearbooks for Armwood High can be found below. You will find former students who are seeking yearbooks, those looking to sell a yearbook and general yearbook requests among the Armwood yearbook listings. This yearbook section was created to help alumni post yearbook classifieds. You can also find out what other graduates are doing now, share memories with other alumn, upload pictures from Armwood and find other alumni. Unfortunately i lost my yearbook when i lost everything i owned and even though i won't have the signatures but i would love to have a yearbook again. Thank you. I am looking for a 1992 or 1993 yearbook. Please contact me if you have either. Thank you. I am looking for a 1992 yearbook, plz email me if you have a clean one. I have been looking for the yearbook for many years. If you have one to sale, please contact me asap. 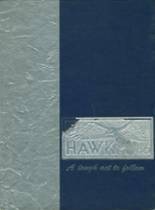 I'm looking to purchase a "NEW" yearbook (Class of 1990) from Armwood High School. Are there any available for sell? i am looking for the first year that armwood was open, i was on the basketball team and wouldlike to get a copy of it or atleast a compy of the basketball pic.